“Grilled okra? !” you may ask with a hint of disdain. I agree. It’s the same response I had when I was first introduced to this dish. “But okra is slimy when cooked anyway but battered and fried … won’t this be gross?” was the first thought that went through my mind. But as she basically forced me to take a bite, my friend Lucia Heros assured me that this would become a favorite. And you know what? She was right! Grilled okra is simply delicious! It is yummy as a quick and easy appetizer right off the grill … or served as a side. On the rare occasion that there have been leftovers, I have thrown chilled grilled okra on a salad for a delicious twist. Everyone … including my kids … have loved it! My friend Lucia likes to season hers with Paul Prudhomme’s Magic Salmon Seasoning Blend®. 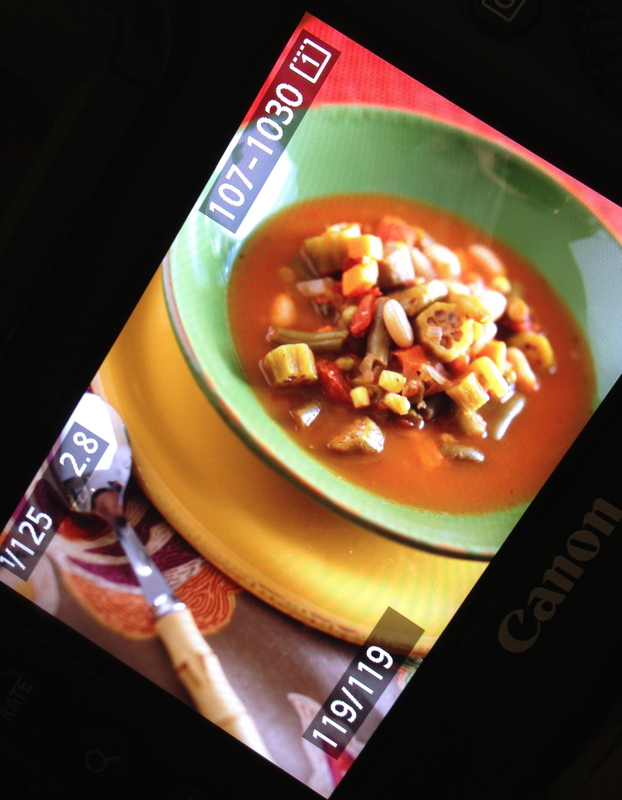 I love the spicy kick that Tony Chachere’s® Creole Seasoning gives. Feel free to use your favorite seasoning blend. For an extra kick, try a Blackening Seasoning Blend … or if watching your sodium, try one of those Mrs. Dash’s herb blends. Even just plain old salt and pepper gives delish results. Place the okra on skewers. Drizzle with olive oil until lightly coated. Season to taste with the seasoning blend. Grill the okra until nicely browned, about 2 to 4 minutes per side, turning with tongs as needed. Transfer the grilled okra to a platter or plates and serve immediately. Cooking Tip: No skewers in the house? No worries. The skewers are used to help make the cooking process simple. 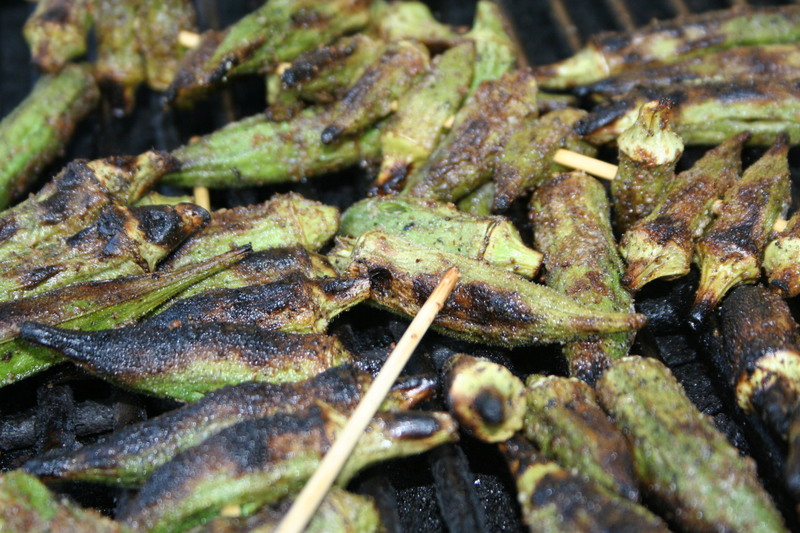 Instead, just place the okra pods perpendicular to the grill grates to prevent them from falling through.